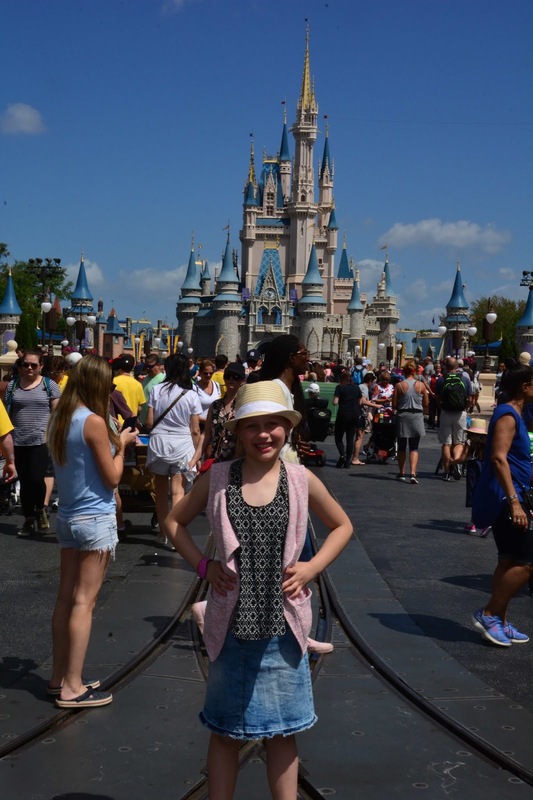 Hi guys, so this is the first of the many Disney blogs that I will be writing and it’s a rather exciting one. Yes it is that we are going to be going to Disneyland Paris. It is a little bit of a last minute trip due to the fact that the husband and I went to Norway for eight days without Little Miss P. So we thought for a treat for her we would go to Disneyland Paris. 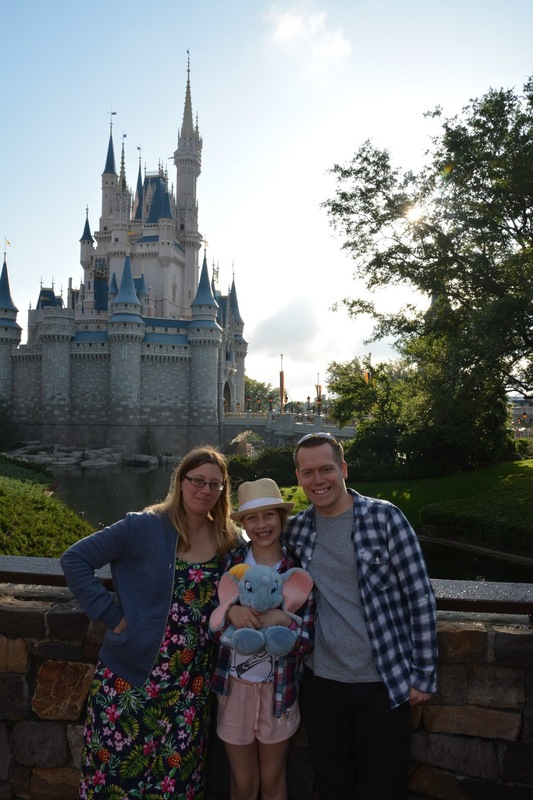 It’s been definitely a few years since we last went to Disneyland Paris, I think the last time we went Summer was about three years old, she had the flu and it wasn’t the best trip. She basically sat in the pram most of the time asleep and only got out to meet Belle and go on a few rides. This trip I am hoping to be very different. 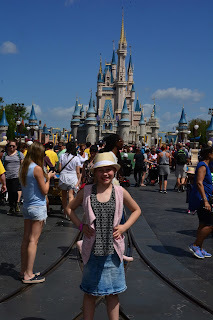 Hopefully this time she will not have the flu and now that she is 10 and we know that she likes the Tower of Terror (as she went on it at Disney World) it means there will be lots more fun as we should be able to go on the big rides. 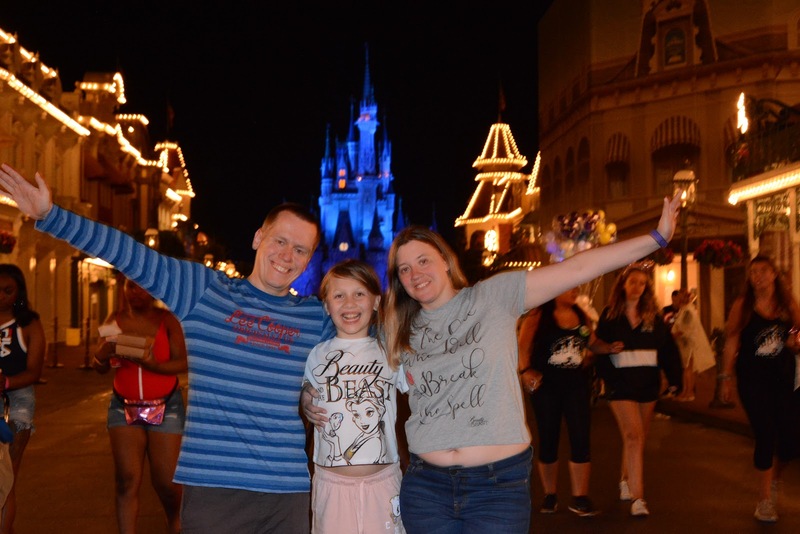 I know that Disneyland Paris is very different to Disney World but now I’ve been to both recently I will be doing a difference between them both Blog post once I’m back from the trip. We also used Tesco Clubcard vouchers to pay for some of this trip and I think that will also be quite an interesting blog post. We are doing this trip the cheapest way we know how so I will be giving a breakdown of how much it all costs at some point. Can’t wait to see how this trip turns out as I haven’t really done any planning for it, haha. Well for my little blog, 2018 hasn’t been the best, I managed a whopping 17 blog posts which is atrocious. So for me in 2018 I just clearly fell out of love with my blog (not you lovely people who are reading it of course) but for 2019 I have given it a little makeover so hopefully I will fall back into loving my blog as I have missed it. 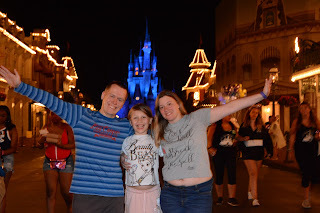 I thought I would take the time to say bye-bye to 2018 as you have been a good year (we went to Disney World again, hehe). That said, Little Miss P broke her arm again but everything else has just been pretty smooth sailing. Oh and quit my job. So I’m going into 2019 without a job. I can see 2019 being a bit more of an interesting year, maybe challenging. The truth be told I can’t really tell what’s going to happen in 2019 other than my sister is getting married and Little Miss P will start high school, which I am nervous about. But that is pretty much the only thing that I know will happen in 2019. Obviously I have some goals that I want to work towards and obviously there are some thing that I don’t want to happen. I use to do blog posts like this and I enjoyed them so I'm definitely bring these back this year. This is a little description on what Dear so and so is all about; it can pretty much be about anything but mainly about what's got you angry or upset, or something that you don't quite understand. Now let's get into it. My little Tesco down the road has one scan your self till and it has always had a separate line, which I always go to as it is card only. I went to it as I normally do and then someone else in the other line said I am waiting for that. So I did let them in front of me and I moved back into the other line. She was having a right moan about it still while she was waiting for the other lady in front of her to finish, and then I got to the till before she did and she was moaning even more. The fact is if she didn't moan so much I would have let her in front of me in the other line as I am nice like that, but as she was being a right cow, I wasn't going to. I think she got what she deserved that time. I am not a gardener. If it wasn't for the spiders and the wasps I would be ok with it, but there seems to be loads in my garden and while cutting a bush down (only making it smaller) the thorns got stuck in my arm, foot, hands and even down my top. I had about three spiders on me that I saw and can't remember the number of wasps I saw, but saying that I think I did a good job and will be back out there to do some more. I went into this shop to find a few things for Little Miss P's party as it's a girly shop so I thought it would be ideal. But I walked in and two girls were having their ears pierced as it's free at the moment. But it took the two staff members to do it so no one was at the till. They saw me waiting and didn't even say anything like "be right with you" let alone for one of them to come over. So I left my things at the till and walked out. Well she's not so much Little Miss P now as she is 5ft tall and is now into double digits, she is now my 10 year old tween, who so far has turned out a well mannered if a bit shy young lady who tries to step out of her comfort zone. And that's what I love about her; she likes to try and make new friends and not to stick to the same ones, of course she still has her main group of friends that she can trust. This is the year I have definitely seen her grow up and I am not going to lie it's a little bit scary. I'm not at the point yet where she's into boys luckily but she's definitely at the stage of her changing temper. All I can do is be there to support her at the moment. Other things I am realising at the moment is at school she's a little bit behind in English, but is doing fantastically in science and maths. I think she's getting a little upset sometimes with English, but every time I try and help her at home she tries not to do it. I have learnt one way to get her reading though and that is her reading to one of her teddy bears, well I sit in the kitchen trying to overhear it. I wish for Little Miss P To jump out of her comfort zone a bit more, and when she's enjoying things to actually look like she is enjoying them (she gets this from her dad), to have fun and be confident and don't take anything to heart if someone puts you down. You will always have your family around to support you, hold your hand and give you a big hug. I think the next year will bring her out of her comfort zone, well I hope it does anyway. I can't wait to see her grown up but I'm also a little upset that she's not my baby any more and I have to let go of the reins a little bit more. This film review is all about the film Marie Antoinette. I loved this film when I was about 20 years old, it stars Kirsten Dunst and it's all about her life. I was bored the other day so I thought I would re-watch it and I still enjoyed it, just not as much as I did when I was in my 20s. This film is definitely a chick flick, it's all about Marie Antoinette when she became the Queen of France. She was very young and she was betrothed to King Louis XVI at the age of 14. It brings to life a new a interpretation of the teenage queen, she is a very beautiful but naive queen and enters the French courts, which have a lot of conspiracy and lots of scandal. Without any guidance she turns into a young girl rebel and she is known as the most misunderstood French monarch. I have to say my favourite bit in the movie is when they're trying on all the dresses, make up and different hairstyles. Outfits of that time were absolutely amazing. It's the famous scene where she says "Let them eat cake" and in that scene they have lots of different cakes and macaroons there. It's just a very bright, colourful and fun part of the film. Honestly I think this film is definitely designed for the teenage to 20s audience, but I did still enjoy it.